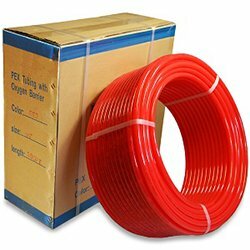 How to repair leaks in PEX tubing? As with any other pipes, PEX is not prone to leaking. Nearly all of the plumbing leaks occur at joints (connection spots) and most of them are due to incorrect installation. Much like installing PEX tubing, repairing it is also an easy process. 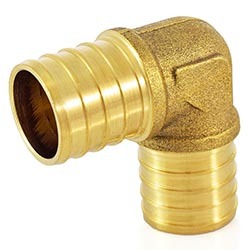 If you’re using a crimp or clamp connection systems (both being very popular), using brass PEX fittings with copper or stainless steel crimp rings is the most inexpensive method of repairing PEX tubing. Pressure test and monitor the system as required by local building codes. If there’s a leak somewhere in the system, temperature gauge will give a lower reading than initially. 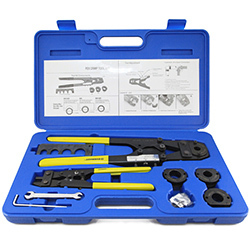 If using a crimp connection system, use a Go-No-Go gauge to test the PEX connections for accuracy. Check the manufacturer’s manual for freeze protection and freeze prevention tips and installation requirements. 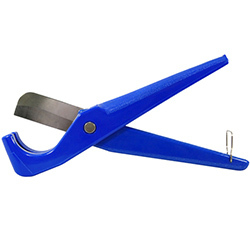 Using the PEX tubing cutter, remove the damaged/leaking section of PEX tubing. Prepare a new piece of PEX tubing that is slightly greater than the length needed to make the repair. Using a Crimp Connection Method, connect the tubing to fittings and check the connections with a Go-No-Go gauge.